The opportunity for a good life begins in our families, schools, and jobs. And it begins in our neighborhoods. 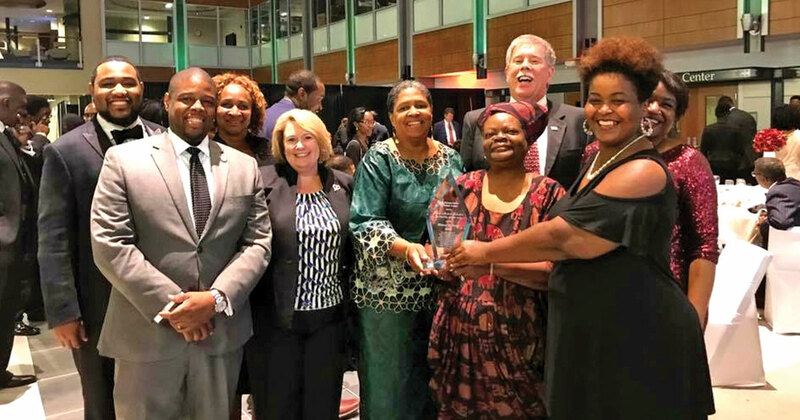 At United Way of Forsyth County, the community investment team understands that whatever country, state, city, or neighborhood we live in, each area presents us with a set of unique opportunities and challenges in our lives…in short, Place Matters. Access to education, health care, home stability, and community support are all predictors of future success. The United Way began considering a Place Matters initiative in 2013 while reviewing the progress of the program in other cities such as Atlanta and Cincinnati. The United Way reviewed data that demonstrated that a person’s future success in life is determined by the zip code of his or her origin access and that this includes the level of education, financial success, physical and mental health, and the findings even predicted longevity. Knowing that access to education, health care, home stability, and community support are all predictors of future success, the United Way team determined that, as an organization, they needed to begin the work to address these determinants. This was especially critical since Forsyth County has experienced an 81% increase in the percentage of the population living in poverty since 2000, and is number seven out of the largest metro areas in the US, with the greatest increase of people living in neighborhoods with highly concentrated poverty. Place Matters addresses thirteen neighborhoods in the eastern part of the city that encompasses thirty-four churches and three schools, and were originally suburbs when first built, but are now in the center of the city. The key aspect of implementing Place Matters in these communities was to engage and include the residents themselves as contributors and leaders. The members of the Resident Impact Councils have emerged as natural leaders who desire to engage the community’s assets in conjunction with the supporting organizations to realize specific neighborhood goals toward prosperity. Support organizations listen to the Councils’ insights and recommendations, and a greater sense of accountability emerges, empowering the residents. An example of community engagement using the assets-based strategy is the working partnership between the Winston-Salem/Forsyth County Schools Be Legendary program, the JRAMS Achieving Maximum Success program and Grace Presbyterian Church. The JRAMS is a mentoring program between Carver High School and Winston-Salem State University. The project name comes from the WSSU Rams football team and the Carver High School Yellow Jackets team. This mentoring program has contributed to the greatest level of growth in academic performance in a Winston-Salem High School bringing grade level performance from F to D+ for repeat ninth and tenth-grade students within one year. Place Matters also opens the door for participation from non-profit agencies that are not currently United Way member agencies. An example is the recent partnership with Habitat for Humanity in which six new homes were recently built in a Place Matters neighborhood where no new homes had been built within the past fifty years. This contributes to the concept of family and home stability, which is essential for the future success of residents. The Place Matters initiative is now in the third and final year of the first funding cycle for the designated neighborhoods. The United Way has invested 2.7 million dollars in programs and partnerships focused on strengthening these thirteen neighborhoods. The goal is for these neighborhoods to become self-sustaining in the assets-based model for success, and for the United Way to take gained knowledge from the initiative on to other neighborhoods. The principle that an entire city can benefit from the individual success of each neighborhood is at the core of the Place Matters initiative. The United Way of Forsyth County supports this principle in the implementation of Place Matters, as well as continues to serve the community as a whole regarding its four main areas of concern: health, education, financial stability, and basic needs. To learn more about the Place Matters Initiative, to see the full list of Place Matters partner agencies and to donate, please visit the United Way of Forsyth County website at ForsythUnitedWay.org. Next ArticleShould I Watch the News?